Looking for How to Make Pickled Asparagus - Easily! With Step-by-step Photos, Recipe, Directions, Ingredients in 2019? Scroll down this page and follow the links. And if you bring home some fruit or vegetables and want to can, freeze, make jam, salsa or pickles, see this page for simple, reliable, illustrated canning, freezing or preserving directions. There are plenty of other related resources, click on the resources dropdown above. 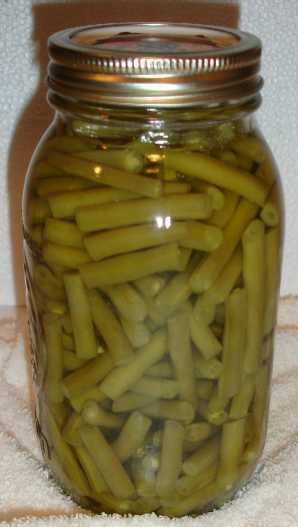 You think making and canning your own pickled asparagus is difficult or expensive? Not at all! 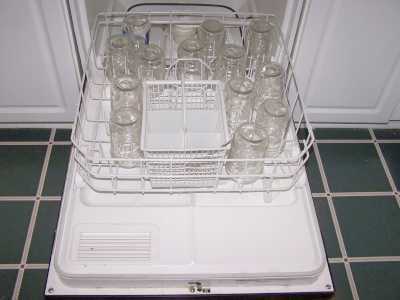 You can do it with basic equipment already in your kitchen - you just need a canning pot. And thanks to the vinegar in pickled asparagus, you can use either a plain open water bath pot or a pressure canner (which will also let you can low acid vegetables!) 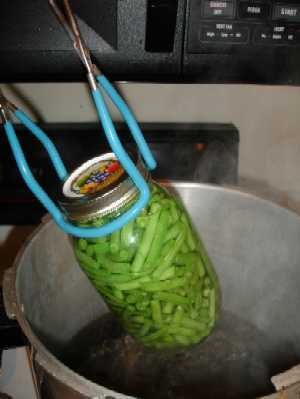 If you can a pressure canner, you can also make canned asparagus (without pickling) - see this page. Prepared this way, the jars have a shelf life of about 12 months, and aside from storing in a cool, dark place, require no special attention. This recipe makes 6 or 7 quart jars. 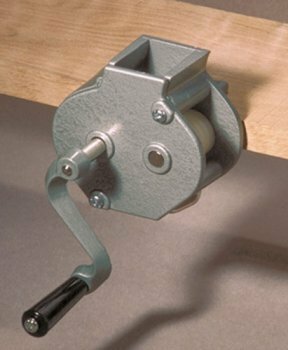 If you just want to make a single jar, see this page. 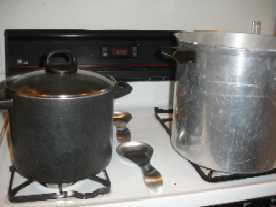 1/2 cup canning or pickling salt (NOT table salt) See this page for pickling supplies, equipment, books, crocks and additives. 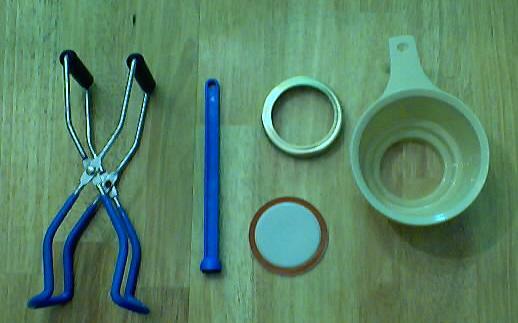 Using the jar tongs, put the jars on the rack in the canner. 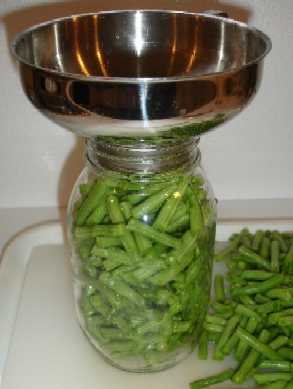 Make sure there is enough water to cover the jars by 1 to 2 inches.